Craft distillers face a daily mountain of responsibility. The last thing that a distiller wants to worry about after a 12-hour day running the still and cleaning the fermenters is cost accounting. Even the thought of their accountant asking for month-end numbers is enough to make most distillers cringe. However, accurate cost accounting, especially for distillery operations where inventory and barrels can sit for years, is crucial to ensure stakeholders that the operation is profitable and sustainable. At its core, cost accounting for distilleries is tracking dollars as money moves from purchased raw materials into Work in Process (WIP) and into finished goods. The goal is to arm decision makers in the organization with how much each product costs to make, how profitable each brand is and how much inventory is on the balance sheet. Meticulously tracking the costs of materials and labor used to make a case of finished product, combined with federal excise and local taxes, will yield the true cost of goods sold (COGS) for each brand. 1. Purchase $900 worth of raw materials. The distiller spends 4 hours (at $20/hour for $80 in labor) and uses 50 gallons of molasses ($125), water, and 1 pound of yeast ($10) and moves the batch into a fermenter. The value of the raw materials ($135) and labor ($80) used is moved into WIP and the fermentation now has a value of $215. The entire fermenter ($215) is pumped into the still, yielding 10 gallons of hearts at 150 proof (or 15 proof gallons) after an 8-hour distillation run ($160 in labor). The resulting tank of white rum now has a value of $375 or $25/proof gallon. The master blender takes the white rum and adds 10 pounds of spices and flavors ($20) into the tank, proofs and filters the batch over 4 hours ($80 in labor) to prepare the tank for bottling. The spiced rum tank now has a value of $475 or $32/proof gallon. The bottling team takes 10 proof gallons out of the tank ($320), leaving 5 proof gallons of spiced rum for a future batch. From the 10 proof gallons, they bottle out 10 x 6-pack cases using 60 empty glass bottles ($120), 60 label sets ($30) and 60 corks and closures ($30) using 3 people over 4 hours (12 total labor hours at $20/hour, $240 total labor). The 10 full cases have a total value of $740 or $74/case. On an order to a distributor, the distiller sells 6 cases of the spiced rum for $150/case or $900 in total revenue. In this example, assume 1 proof gallon per case, or $13.50/case in federal excise tax, or $81 in federal tax for all 6 cases. The total Cost of Goods Sold expense for the spiced rum finished cases through the entire process including materials, labor and taxes is now $87.50/case, or $525 for all 6 cases. This results in a gross profit of $375 from the sale to the distributor. After everything is done, the distillery’s balance sheet has inventory in every asset category, including $560 left in raw materials, $160 in WIP from the remaining spiced rum in the tank and $296 in Finished Goods from the 4 cases remaining in inventory. The distiller also knows what their total labor and excise tax liabilities are for the period. In this rum example, if the distiller bottled out the white rum without spices or flavoring, the batch would have been less expensive. If the rum was barrel aged for a long time, the cost of the rum may have been increased by the cost of the oak barrel and even increased by allocating some of the distillery overhead costs as the barrel continues to age. Without access to accurate cost-accounting data, distillers and owners are often left to determine by gut feeling if a brand or product is actually profitable. This is a serious challenge when negotiating pricing and making sales into new markets. Retail and distributor pricing for products can be widely different when shipping across multiple regions. Depending on the distributor agreement for sample charge-backs, promotion dollars and freight fees, without a full grasp of actual cost data, distilleries may actually be losing money with each sale. One overlooked issue with not tracking robust cost-accounting data is not being able to put together a 5 to 10-year business model. If a distillery is looking for an investor, a strategic partnership or a merger with another company, it is paramount that the distillery stakeholders know the numbers. If accurate cost of goods data is known, how much could the distillery lower the cost of goods with a sizable capital investment? Which profitable brands should be the marketing focus with a new distribution agreement? 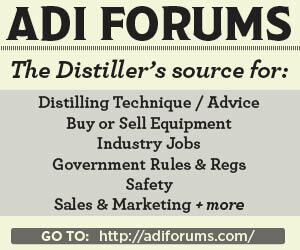 If a distillery’s revenue is going to ramp up, how much cash is needed to build inventory? These are all important questions that accurate cost-accounting data can answer. Distillery owners or managers should also take the time to critically evaluate their existing distillery tracking systems and financial software processes. Distillers can also invest in a distillery-focused tracking software that can automate cost accounting tracking, inventory, production management, and streamline monthly TTB reporting. For many small distilleries, if there is enough cash in the bank to make payroll, pay their raw material vendors and utilities and keep their customers happy, they are doing OK. But for distillers who want to take their operations to the next level and arm themselves with data to make profit-maximizing decisions, setting up an accurate cost-accounting system pays dividends. Donald Snyder, Founder and President of Whiskey Resources LLC and Whiskey Systems Online, has more than 12 years of experience in the alcohol and beverage industry including holding senior management roles at the Buffalo Trace Distillery in Frankfort, KY and MGPI in Lawrenceburg, IN. After leaving the corporate world, Donald now helps craft distilleries of all sizes in a variety of areas including creating start-up business models, automating distillery operations tracking, and ensuring TTB reporting compliance and audit preparedness. 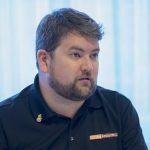 Donald Snyder, Founder and President of Whiskey Resources LLC and Whiskey Systems Online, has more than 12 years of experience in the alcohol and beverage industry including holding senior management roles at the Buffalo Trace Distillery in Frankfort, KY, and MGPI in Lawrenceburg, IN. After leaving the corporate world, Donald now helps craft distilleries of all sizes in a variety of areas including creating start-up business models, automating distillery operations tracking and ensuring TTB reporting compliance and audit preparedness.